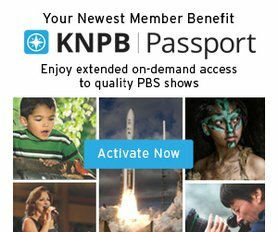 Activate your KNPB Passport member benefits today! Donate to KNPB Support the programs that you love. Your financial support makes the great programming you find on KNPB everyday possible. Donate today! PBS Anywhere Watch your favorite PBS programs anywhere you go — on your computer, smartphone, tablet or connected TV device. KNPB Program Guide Review the most current issue of the monthly guide with programming features and station news. ©2019 KNPB Channel 5 Public Broadcasting. All rights reserved. Public Broadcasting Service (PBS). KNPB.org made possible through generous contributions from Mathewson Charitable Lead Trusts and L.M. Newman Family Foundation. KNPB Public Television is owned and operated by Channel 5 Public Broadcasting, Incorporated, a 501 c-3 non-profit organization, headquartered in Reno, Nevada, serving central and northern Nevada and northeastern California with public television programs and off-air educational services. Donations to KNPB may be tax deductible pursuant to section 170.c of the Internal Revenue Service Code of 1986. © KNPB Channel 5 Public Broadcasting.